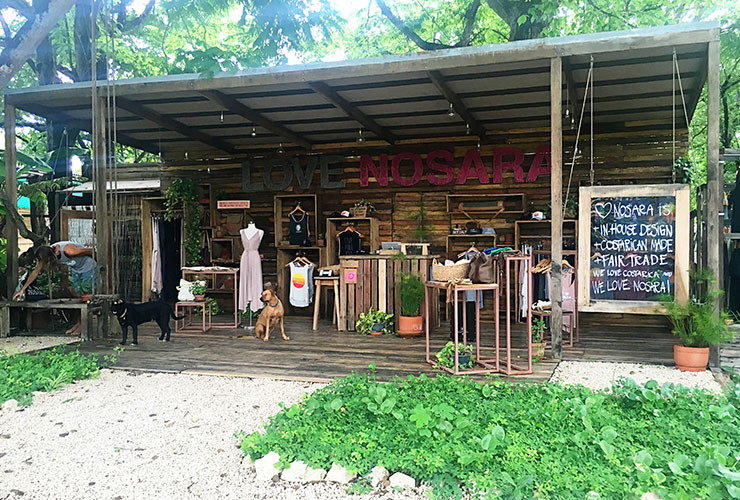 A few steps down the street from The Harmony Hotel in Nosara, Costa Rica is the coolest outdoor boutique! When you walk down to the beach you cannot miss it. 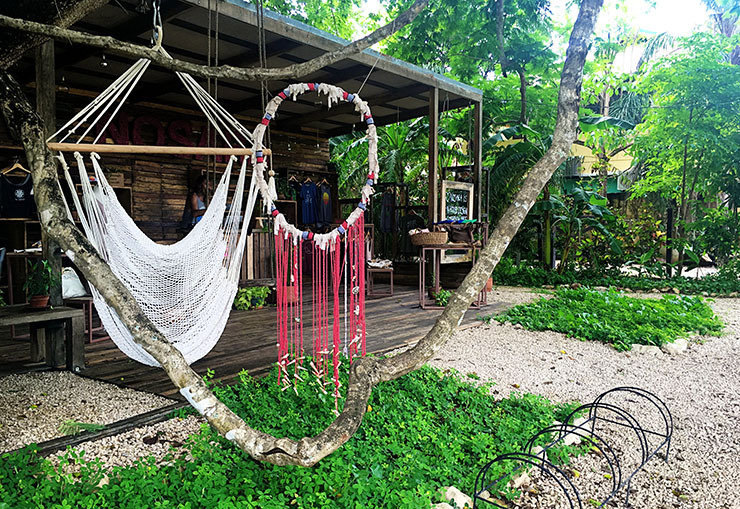 And with the natural beauty of Costa Rica surrounding this store, it almost seems like a pop-up shop that just magically appears in the middle of the jungle. I loved the entire concept of this little boutique, everything from the fixtures, displays and carefully selected products. 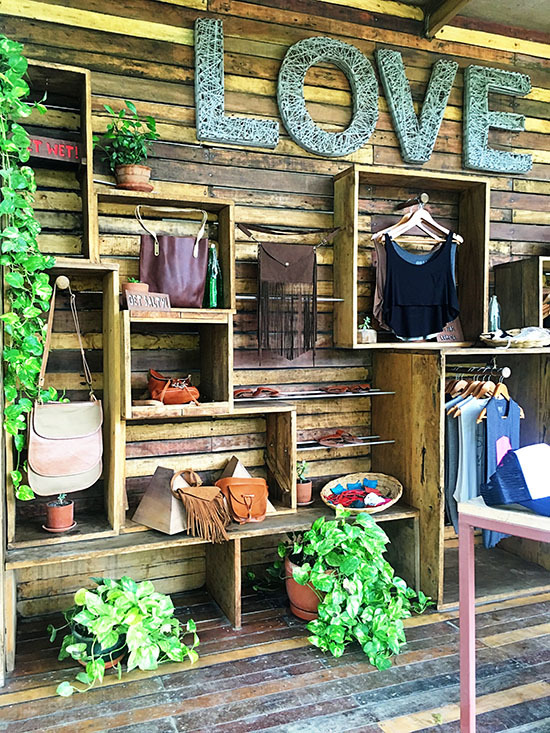 Love Nosara sources all of their products, designs and materials from Costa Rica. The wooden crates and display tables showcase their collection of t-shirts, tank tops, hats, handbags and dresses. 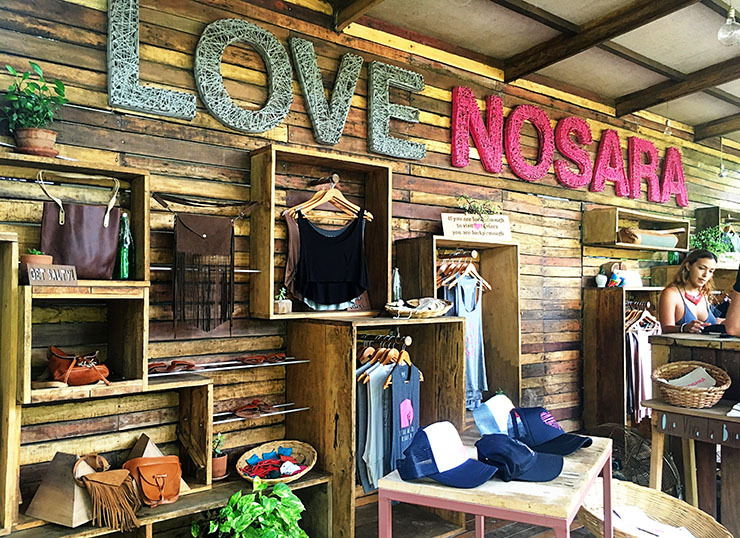 The Love Nosara name is on some of their items but the designs are very modern and stylish – so it doesn’t look like a shirt you got on vacation. 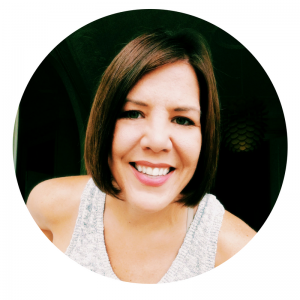 The fashion scene is Costa Rica is pretty much non-existint, it’s laid back beach wear all year round at the beach. Clothing is practically optional and shoes are hardly required. So when I find a cute boutique with unique items, I tend to get VERY excited! 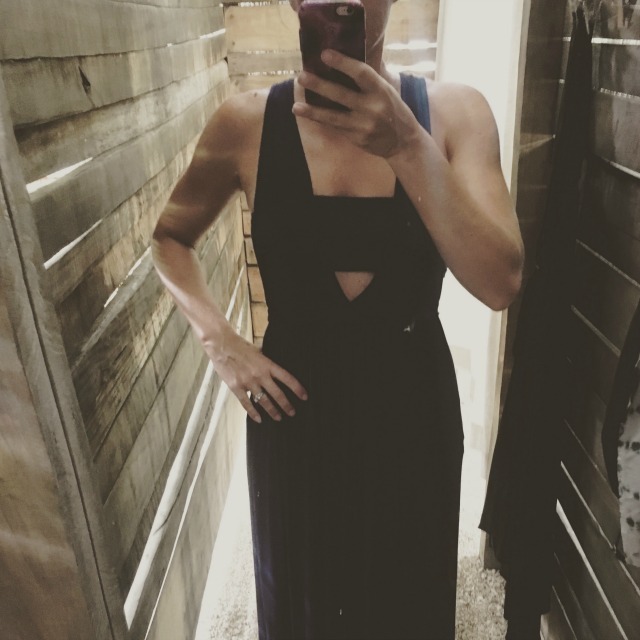 I took a photo of me trying on this gorgeous blue dress in the outdoor dressing room, mostly because I found myself giggling about being in an outdoor dressing which felt like I was changing in a sauna! Holy. Hotness. I was sweating so bad, I had no choice but to buy it! That and I absolutely loved it. 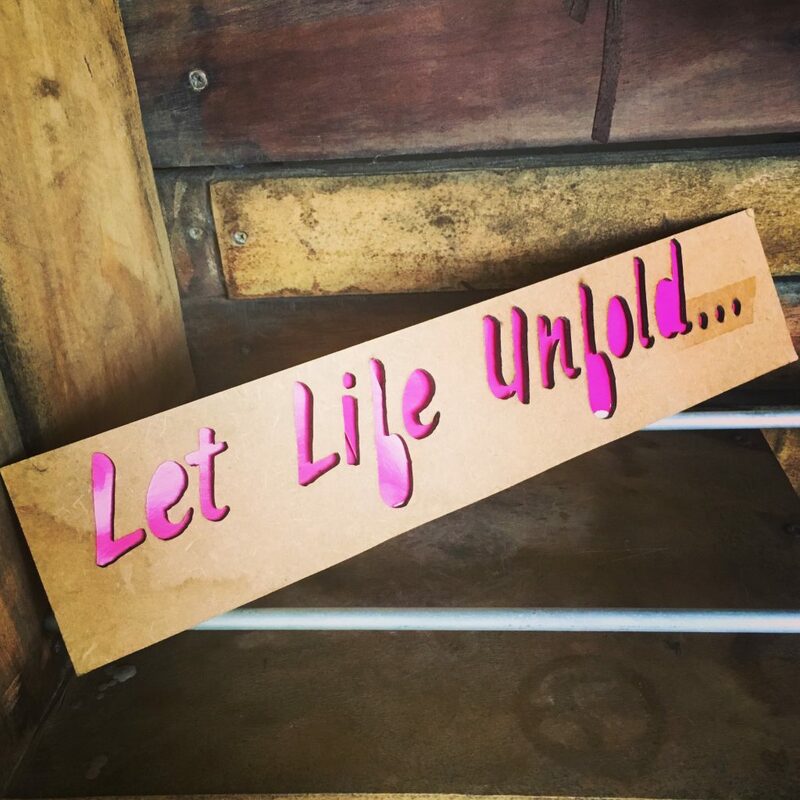 I also loved this sign that was in their shop. My new mantra.